RAF Typhoons scramble to intercept Russian Su-24 Fencer. RAF Typhoons based in Romania have been launched in response to Russian Su-24 FENCER aircraft operating near NATO airspace over the Black Sea. 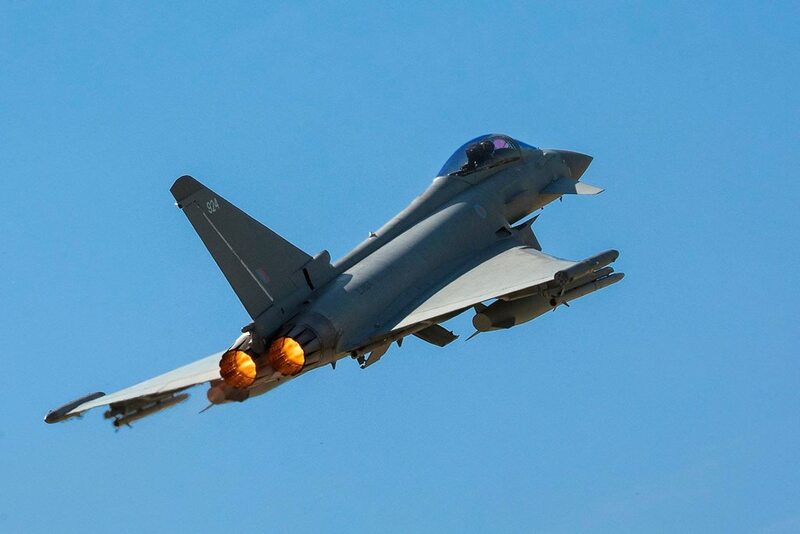 Operating from the Romanian Mihail Kogălniceanu Air Base near Constanta on the Black Sea coast, the RAF Typhoons responded to the suspected bomber aircraft heading west towards NATO airspace. The Russian aircraft was flying over the western Black Sea and were monitored by two Typhoon pilots from 135 Expeditionary Air Wing, in accordance with the NATO Enhanced Air Policing mission the RAF is conducting in Romania.